How many rolls of washi tape have you collected? It’s hard to stop with just one roll, and I know many crafty people with TONS of washi tape to decorate cards or use in their scrapbooks. 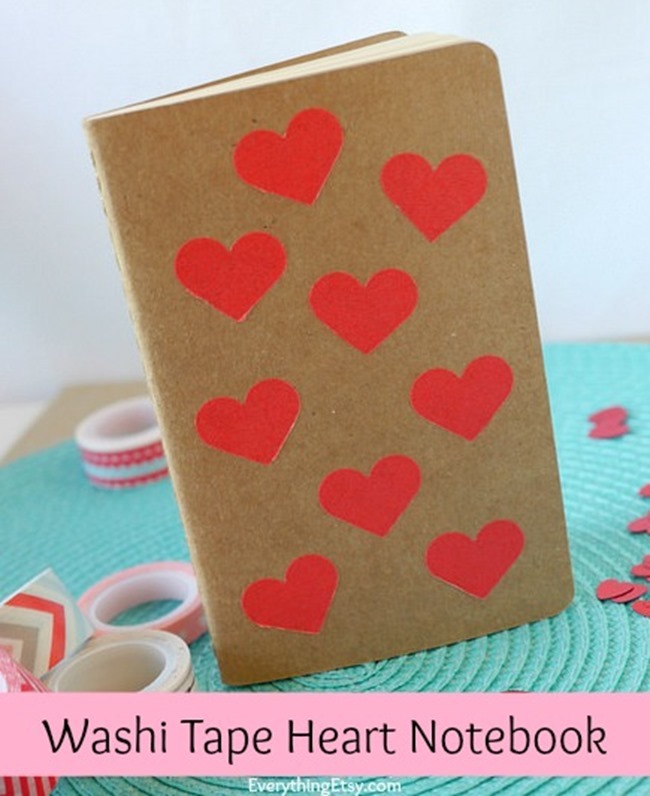 These washi tape heart notebooks are a fun way to take some of your favorite tape and create something cute in jut a few minutes! You know I love quick DIY gifts and this one is a new favorite! 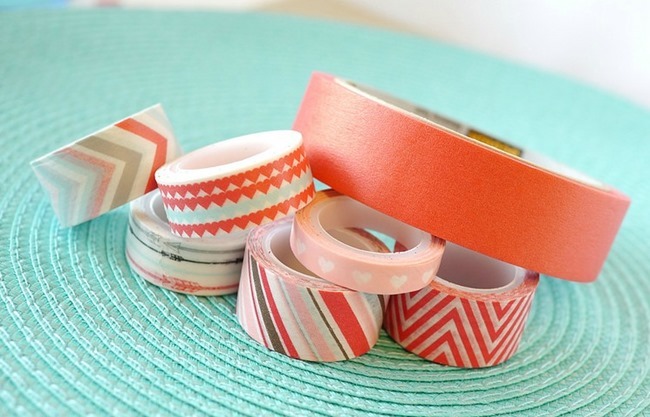 Gather some pretty washi tape. 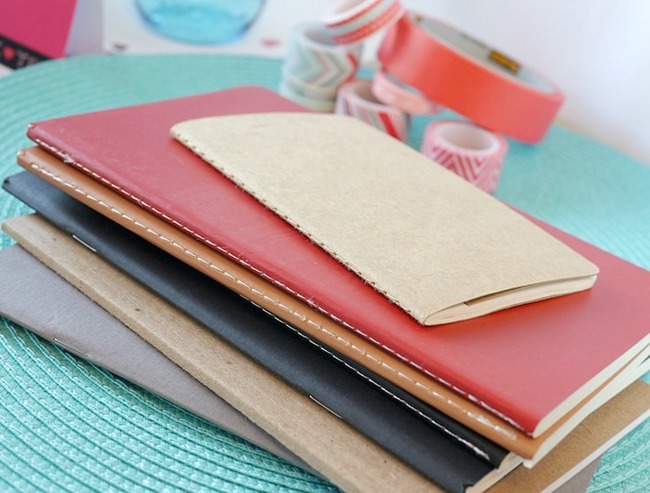 You’ll need some little notebooks…my family has a slight addiction to these things so we have plenty! I used strips of parchment paper and added a line of tape. 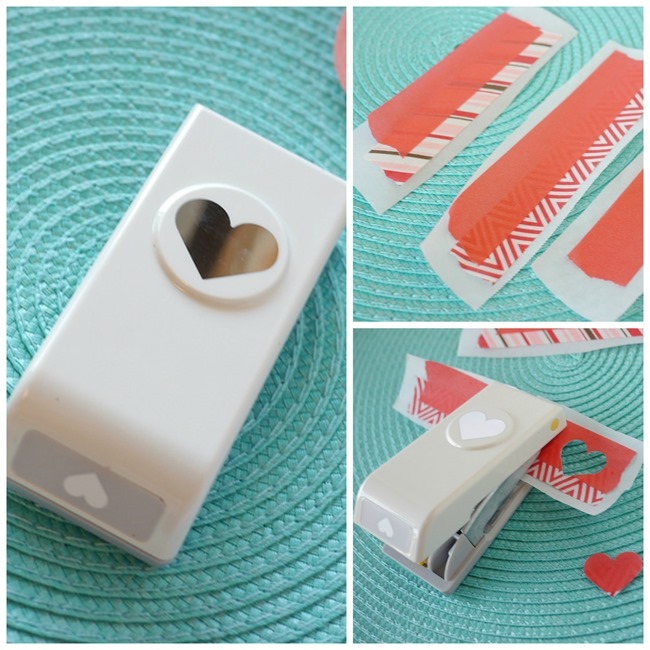 You can add two different tapes together to make them mixed, but my hearts made with just one type of tape turned out so pretty. 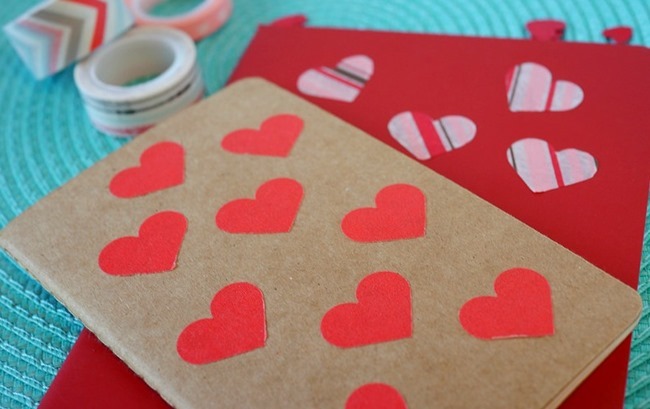 If your tape is skinny you might need to make more than one row…these hearts are pretty big! Punch out as many hearts as you want. Add a few or a bunch…whatever makes you happy! 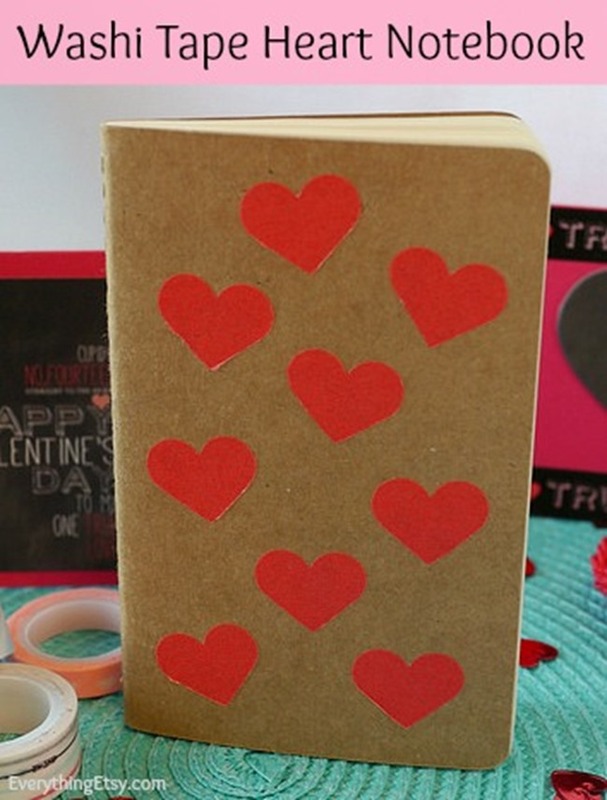 This is an easy project that’s guaranteed to make you smile! The possibilities are endless, and they make a great gift anytime of the year. So, tell me about your washi tape! How do you use it? 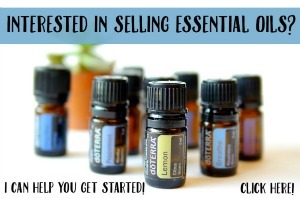 Looking for more DIY gift ideas??? 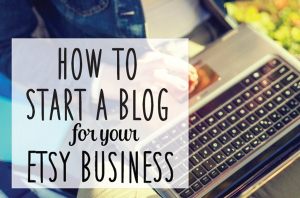 Check out our Tutorials Gallery for hundreds of ideas! I love this idea and will order this punch from Amazon. Where did you find your notebooks? All I can find on Amazon that are plain colors are moleskin notebooks, which are a little pricier than I want to spend. I want to do one for each of my granddaughters. I hope you’ll have fun making these! The one in the photo is a moleskin, but you can find a great selection at Target. My son is always buying them there for artwork.